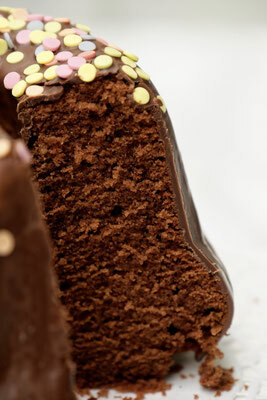 The first cake that I made own my own as a child was this chocolate cake, that's how easy the recipe is. However, the cake also taste amazing (soft but not dry and soo chocolatey) which is why I have made it countless times ever since. I make this cake for birthdays, for when we have guests or simply for those sunday afternoons when you want to enjoy a piece of good cake with your cup of coffee (or tea). 3. the recipe should be easy to adjust for different kinds of bakeware. 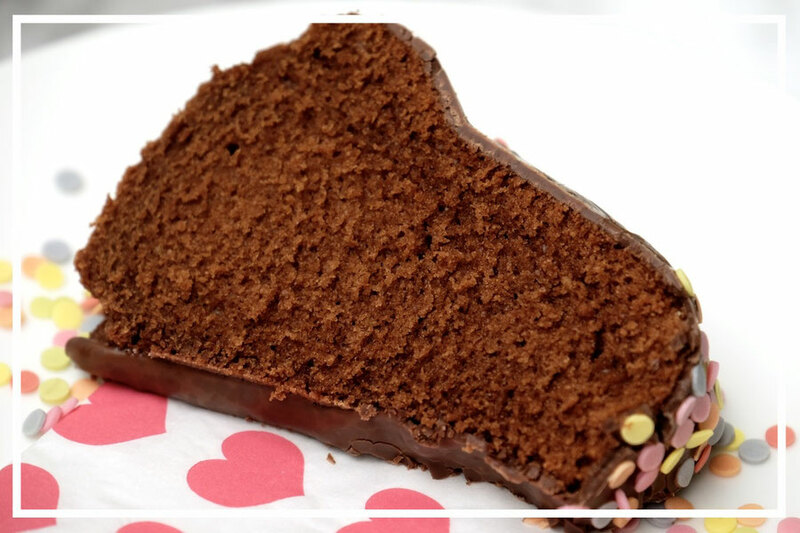 I am happy to report that this chocolate cake ticks all the boxes! Otherwise I wouldn't have called it "perfect", trust me! I am very picky :) By the way, I got this recipe from my mom who in turn got it from the mother of a friend from school. So this recipe is at least 30 years old. How cool is that?! I made this cake recently when we had guests over and I made it in two small bundt pans. This way, I can freeze on of the two cakes for another occasion and one small bundt cake feeds at least 4 people easily. But you could also use this batter to make muffins! So, all you need is one amazing chocolate cake recipe in your baking repertoire and the possibilities are almost endless. I really hope you'll give this recipe a try and let me know whether you love it as much as I do! Preheat the oven to 160°C Umluft and prepare your baking pan by buttering it and dusting it with flour. Melt the butter and the chocolate on the stovetop over low heat and melt occasionally. You can use a waterbath, if you're scared of burning the chocolate. Next, let it cool. Beat the eggs with the sugar and the vanilla extract until it has doubled in volume and the mixture is thick, pale and creamy. This can take a couple of minutes. Add the chocolate mixture to the eggs and combine. In a second bowl, combine the flour, the baking powder and the salt. Fold this mixture under the chocolate batter and fold it in, until you can no longer see any streaks of white. Lastly, add the milk and combine everything. Transfer the batter into your prepared baking dish and tap it on a table to get rid of any air bubbles in the batter. Bake this according to the size of your baking pan - a large bundt cake will take about 45 minutes, whereas a small bundt pan with only half the batter will only take about 25 minutes. Just poke a chopstick into the cake every 10 minutes if you're uncertain whether the cake is done. The chopstick should come out clean, with no wet batter on it. Let the cake cool in the pan, then you can take it out of the pan. 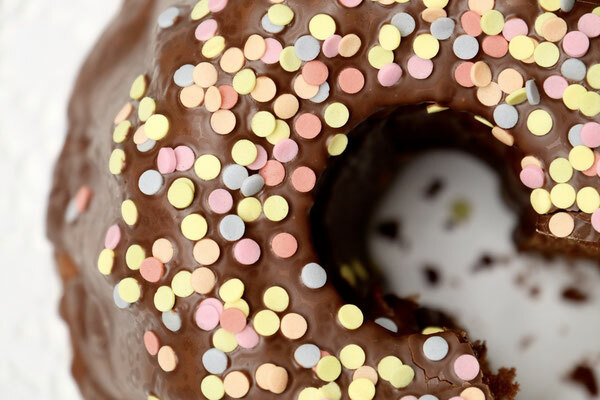 In this blog they are giving so much information to make a perfect chocolate cake and soul. The details we are given to understood the blog updates and reviews. What's up, I want to subscribe for this blog to take latest updates, therefore where can i do it please help. Your tour is always so wonderful to read! I also delight in every photo that you take. All your decor is splendid and so natural and gorgeous. Thanks for joining our tour and I hope you and your family have a wonderful Christmas!